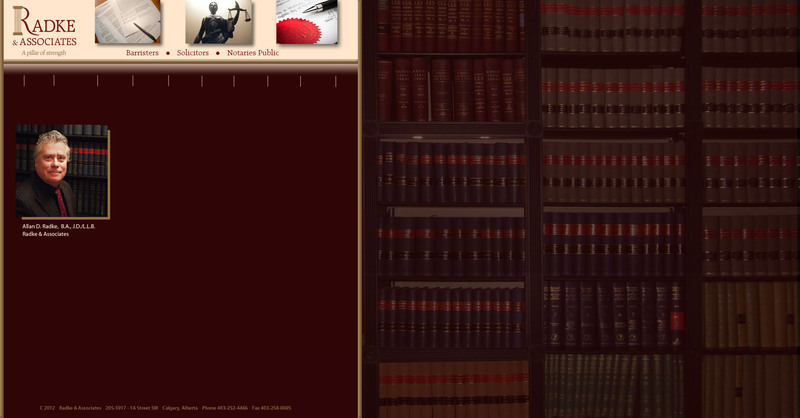 Radke and Associates has been dedicated to legal excellence for over 25 years. We have always been and always will be committed to the needs and interests of our clients at fees that are reasonable. If you are in a situation where you might require legal services, please do not hesitate to contact us without obligation. We are here to serve you and be “a pillar of strength” for you.